Back to School. Man, I can’t believe it’s here! I just sent Brendan off for his first day of 7th grade. And next week, we’re taking Morgan to college. Wow. It’s gettin’ real, yo. Momma needs a new clipboard to cheer her up. For this project, I just bought some brown rando clipboards from the office supply store and jazzed this one up with some cool Decoupage paper! I love black and white and gold. 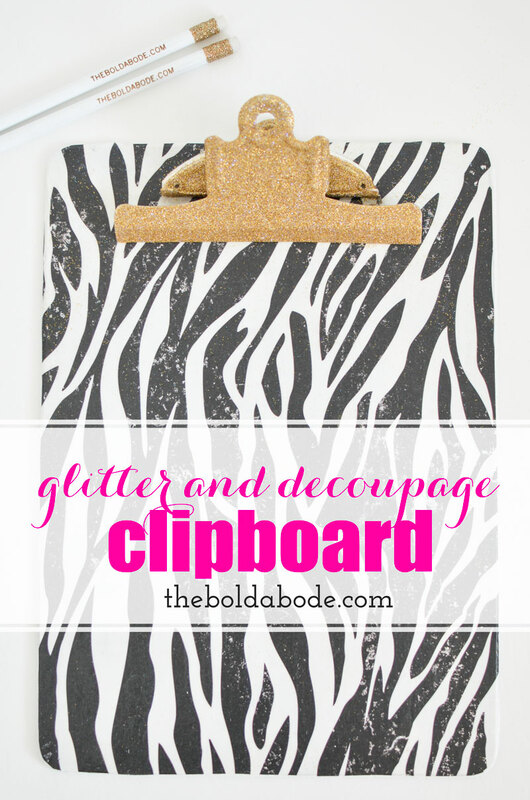 And this fun clipboard will totally be the envy of all the other clipboards at the clipboard ball. It’s very easy to make. 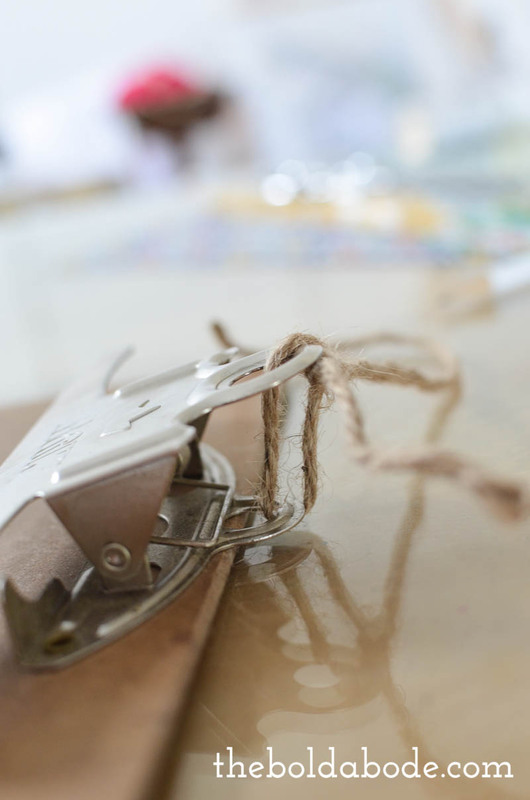 First, use a small piece of twine to tie the clip so it stays open. 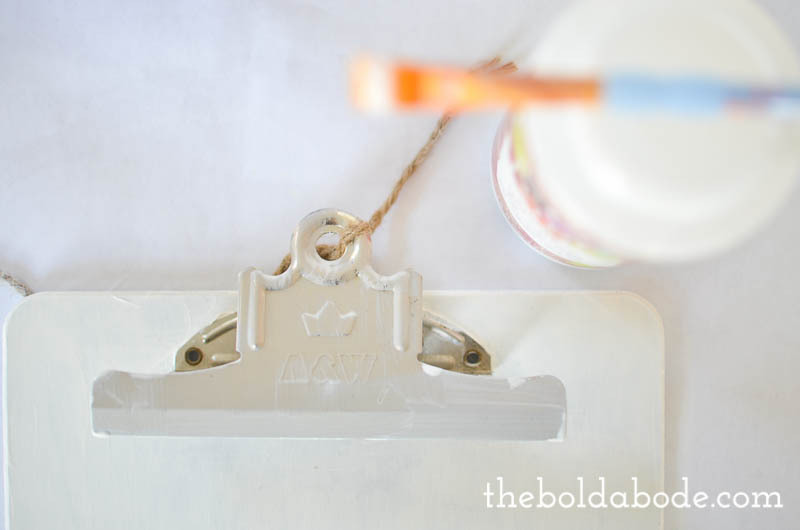 This will help keep it out of the way as you decoupage the paper onto the clipboard. 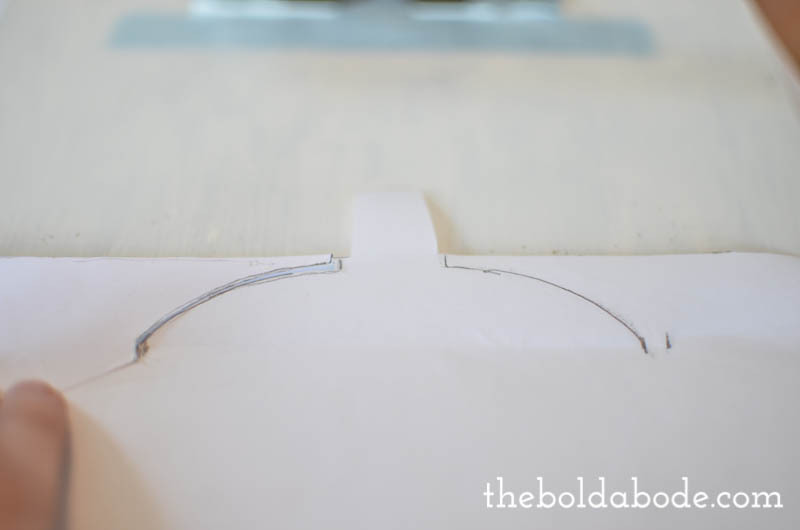 Next, using regular copy paper, make a template of your clipboard. 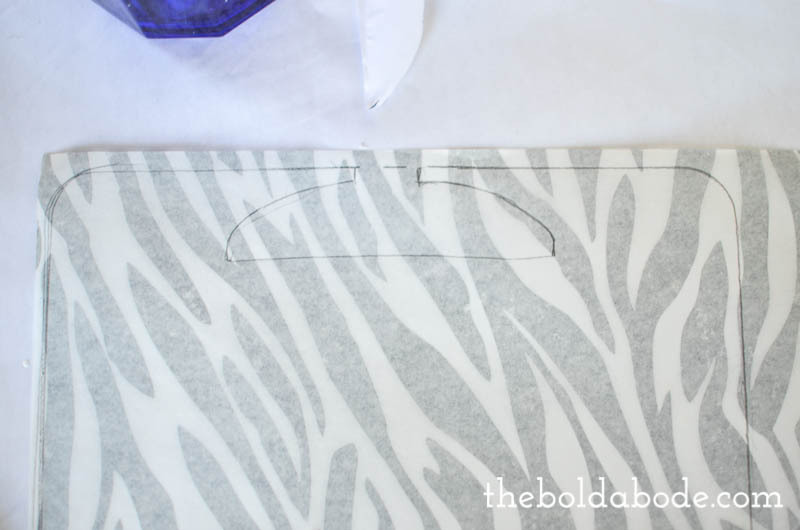 Using the template, trace and cut your DecouPage paper, and make sure it fits properly. 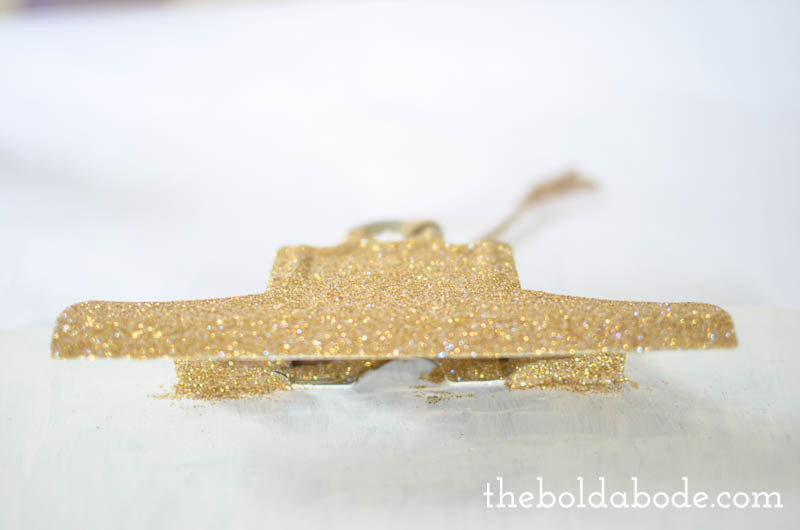 Put your paper aside for a bit so you can glue the glitter on your clip. 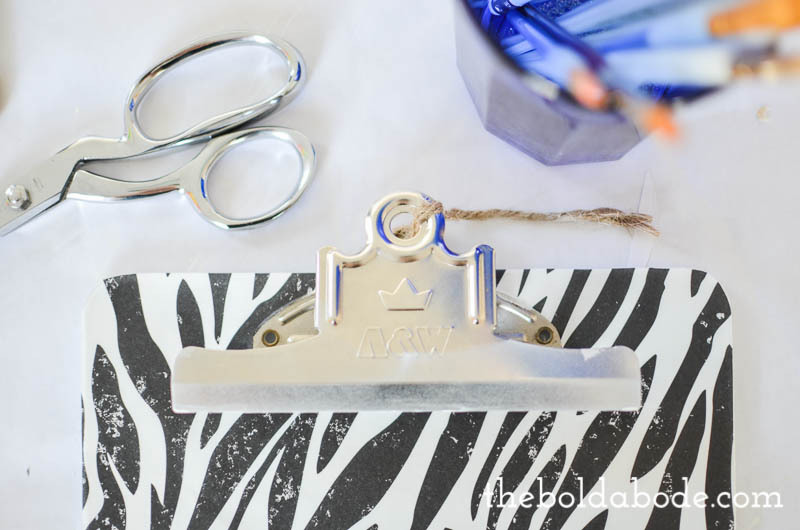 You can use the decoupage glue or regular glue to coat the clip and then sprinkle with the glamour dust. You’ll have to come back later to glitter the top part of the clip. Let the glitter dry before starting on to the DecouPage paper. 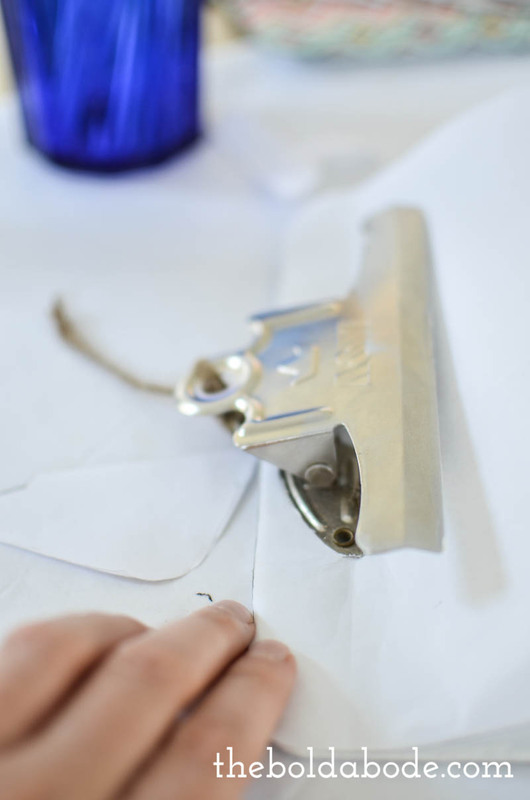 When it’s about dry, add a layer of DecouPage to your clipboard and gently lay the paper on top, careful to smooth as you go. 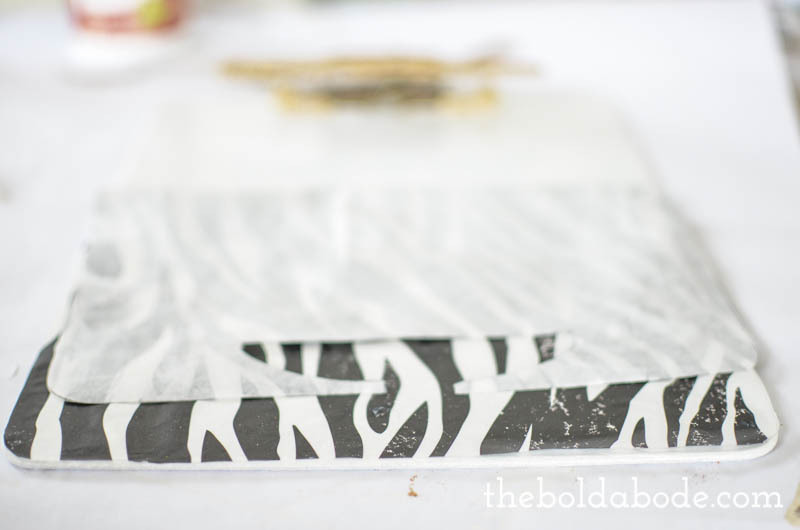 Then, brush a second layer of DecouPage on top of your paper to seal it. 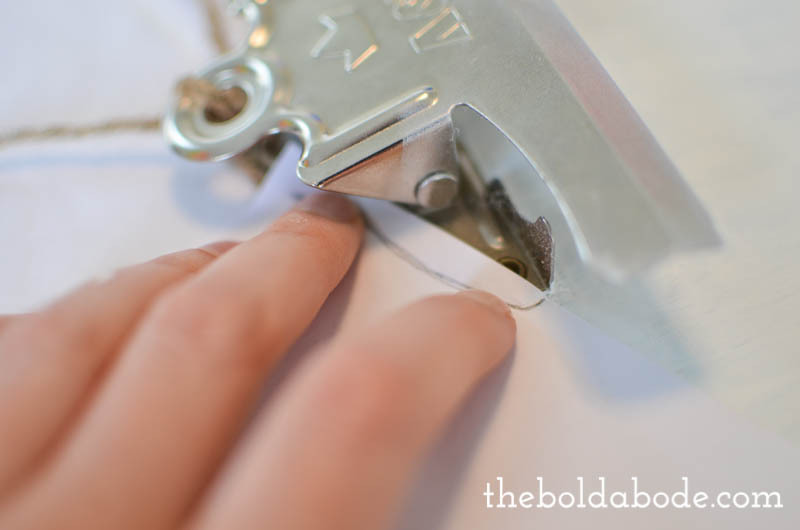 Let it dry completely tan then you can untie the clip and finish glittering the top end. 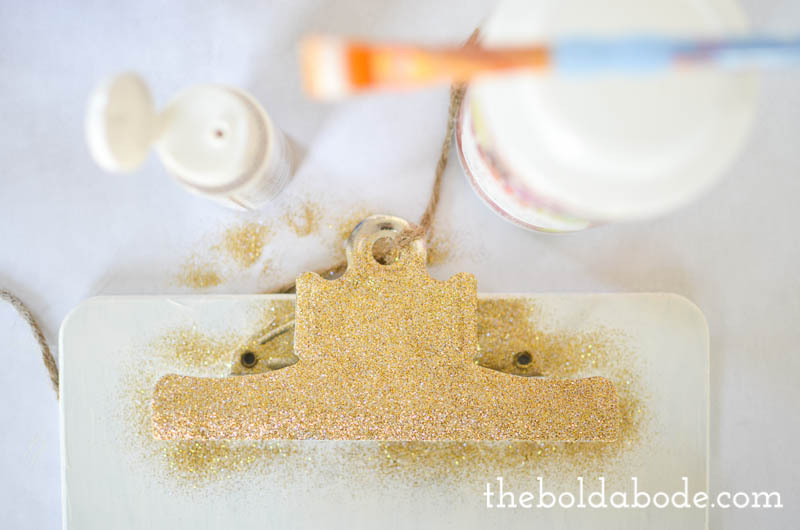 Be sure to add a top layer of DecouPage on the Glamour Dust as well to seal the glitter. 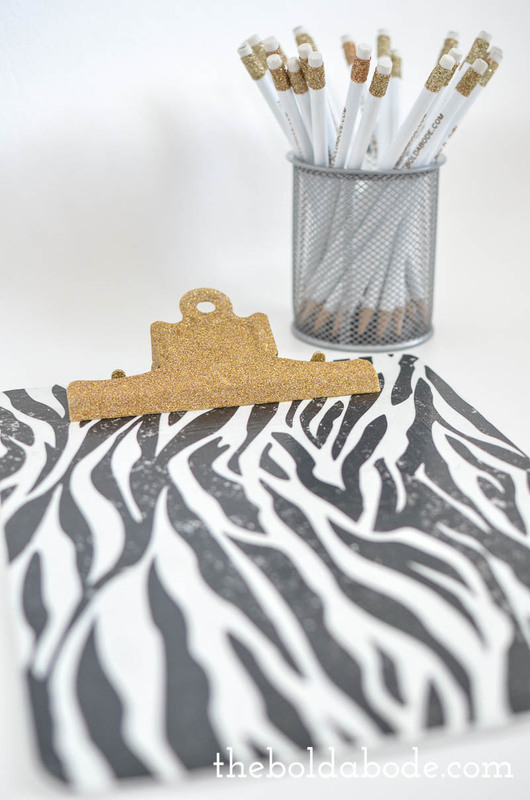 Pair it with some glittered pencils and you are set! 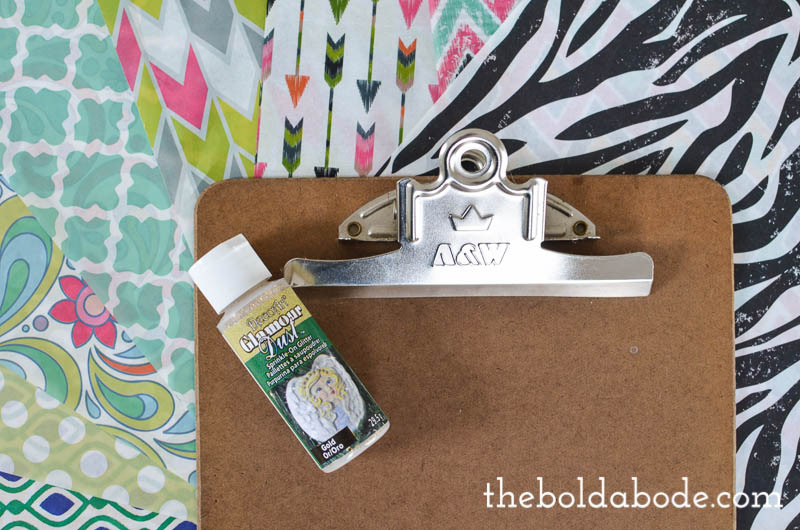 Have you ever made anything with these Decoupage Papers? Aren’t they just super fun?